The Toronto Blue Jays clinched their first postseason berth since 1993 on Saturday, which meant champagne, cigars, and shenanigans. Second baseman Munenori Kawasaki is known for making people laugh. Sometimes, it’s on purpose. Sometimes, it’s unintentional. This was one of those unintentional times. 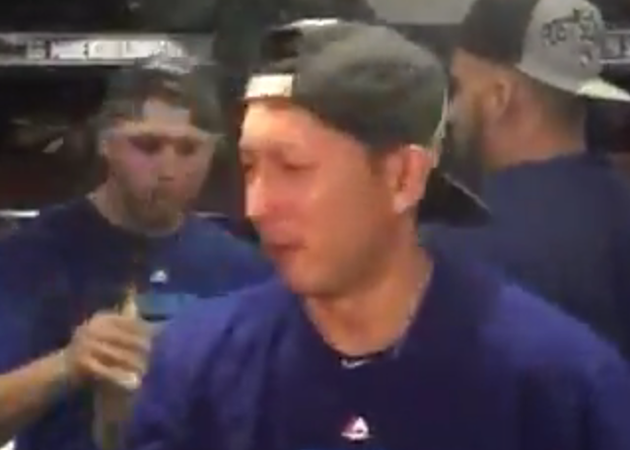 Kawasaki was passed a victory cigar in the clubhouse during the Jays’ postgame celebration, and he inhaled it. Well, Muni, now you know!